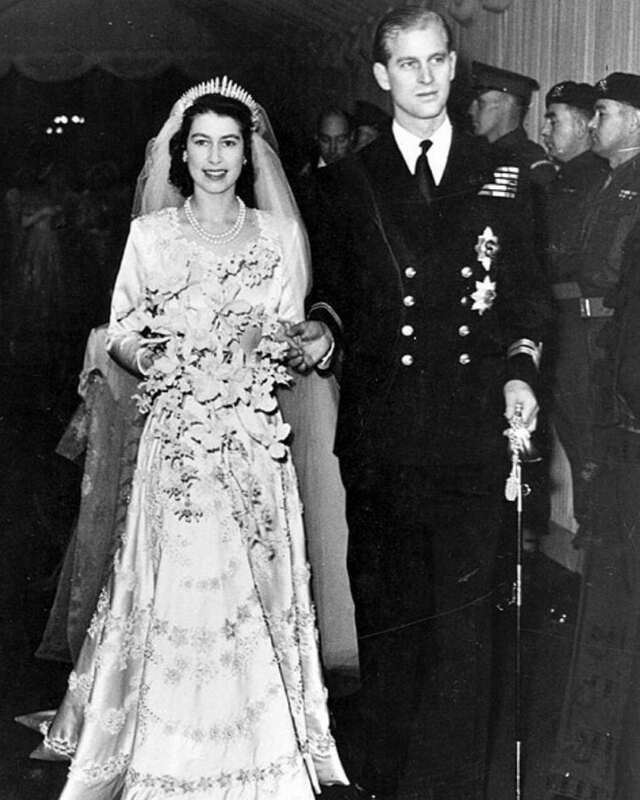 The wedding of Princess Elizabeth and Philip, Duke of Edinburgh took place on November 20, 1947, at Westminster Abbey in London. The ceremony was recorded and broadcast by BBC Radio to 200 million people around the world. The couple first met in 1934, at the wedding of Philip’s cousin Princess Marina. The couple became secretly engaged in 1946 when Philip asked King George VI for his daughter’s hand in marriage. The King granted his request but asked that they delay the formal until Elizabeth’s 21st birthday. Elizabeth looked radiant in her ivory silk wedding gown, sewn with 10,000 seed pearls, and designed by Norman Hartnell. The train was 13 feet in length. The gown took 350 women seven weeks to make and was inspired by a Botticelli painting from 1482. Fun Fact: Even the flower girls’ dresses were custom-made, designed by Claire Waight Keller from the brand Chloé. Actress Emma Watson wore traditional Austrian clothing for the reception.